Jerry Vandiver, a good friend of Tuscarora and canoe country in general, will once again be in concert at Tuscarora Lodge and Canoe Outfitters. Mark your calendars for Saturday, August 8 at 7:30 p.m. when Jerry and a few Tuscarora crew members will tune up their guitars and fiddles for a night of paddle tunes. 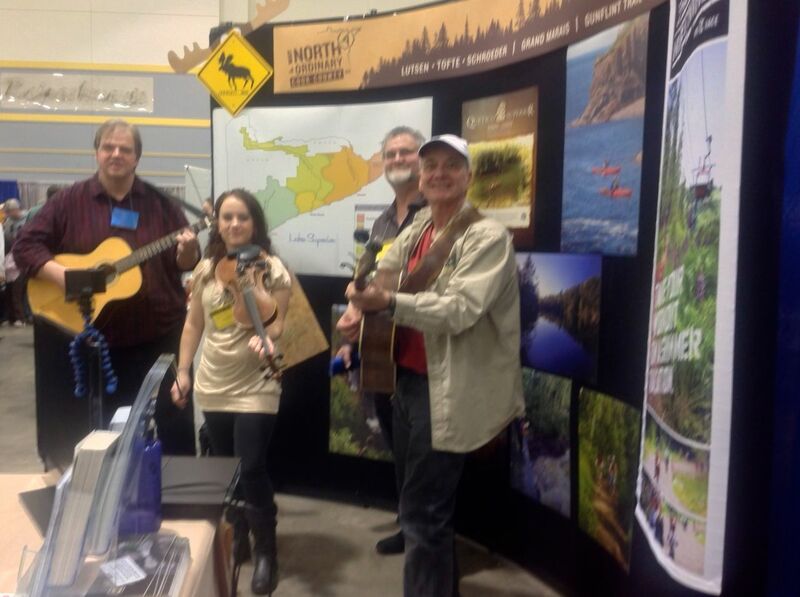 Here’s Jerry and some friends when they stopped by the Visit Cook County booth at Canoecopia 2014 in Madison, WI. Ada and Andy happened to be staffing the booth that year and Jerry was kind enough to swing by for an impromptu concert. Jerry’s an award-winning singer/songwriter based in Nashville. He scored a Billboard Top 5 single on Gene Watson’s “Don’t Waste It On The Blues,” a Top 20 on Wild Rose’s “Go Down Swingin’,” and #2 on Tim McGraw’s “For A Little While.” Jerry has songs on over 15 million records, two of which are hanging on the walls of the Country Music Hall of Fame. His collection of paddle inspired songs, True and Deep is a available in the Tuscarora trading post and we feel lucky that he’s made his August concert at Tuscarora a tradition. All are welcome to attend the August 8th concert. We hope to see you there!